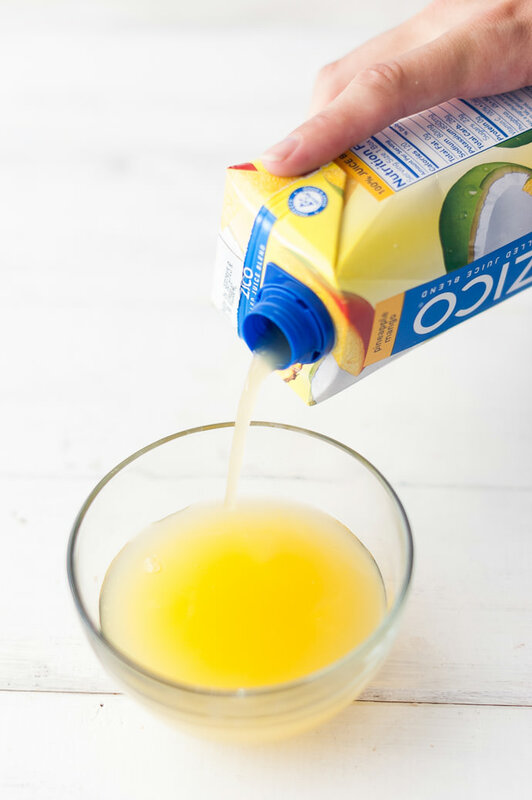 ZICO Chilled Juice Blend has long been my favorite brand of coconut water and now they’ve come out with something so delicious and refreshing I need to find more ways to sneak it in to my life: ZICO Chilled Juice Blends. 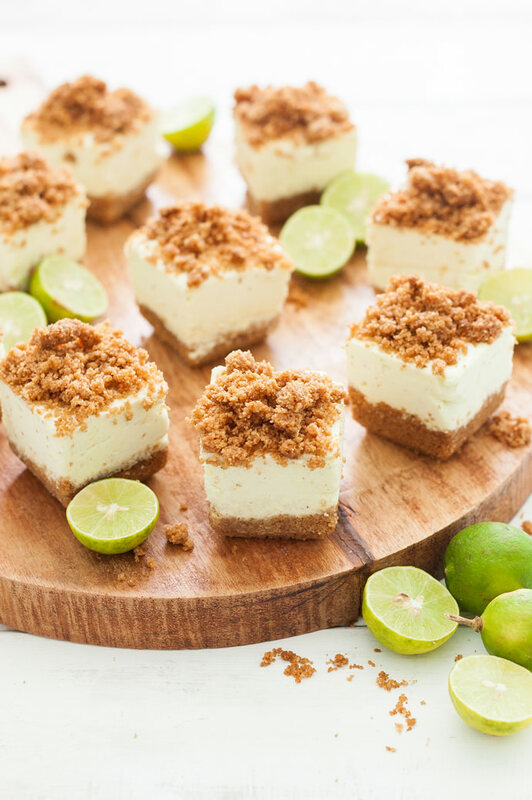 They give such a tasty tropical flavor to these little key lime pie mousse bites. Grab a few bottles (you’ll want some to drink as well!) and get making these little bites of heaven! 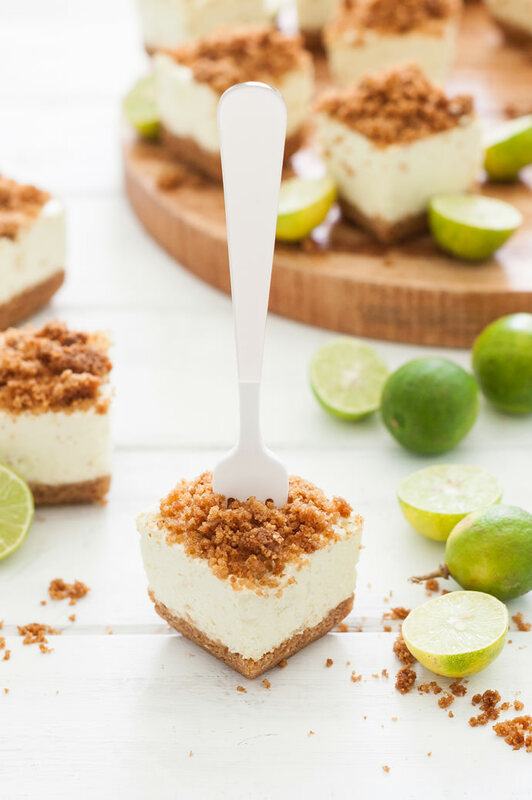 Makes 18 2×2” Key Lime Pie Bites – the amount of bites you end up with will depend on the size of silicon molds that you use. Preheat the oven to 375 degrees. 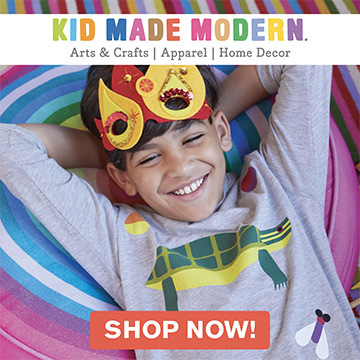 Place three silicon molds on a baking sheet. Place half of the graham cracker crust mixture in an 8×8 baking dish and press down into the dish until smooth. Divide the remaining graham cracker crust mixture between the silicon molds, pressing the crumbs firmly down into each square. Bake the sheet of molds and the 8×8 baking dish in the preheated oven for 10-12 minutes or until the sides are golden brown. Remove from the oven and let cool completely. Crumble up the 8×8 pan on graham cracker crust and set aside. 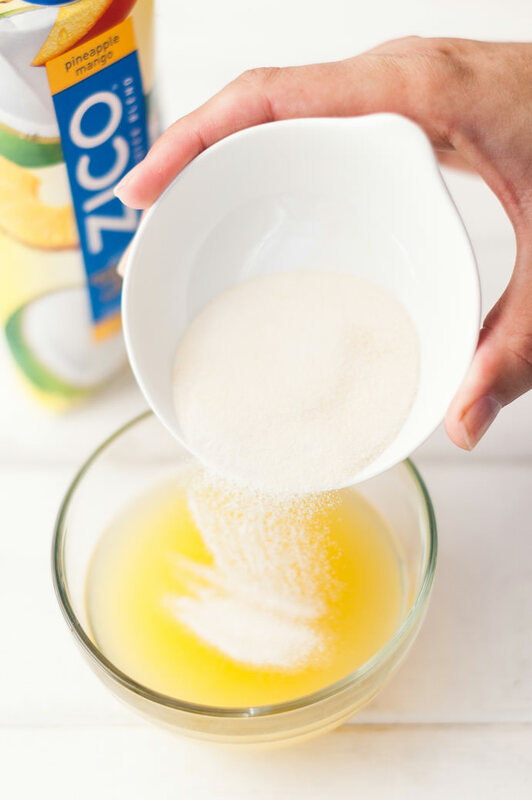 Pour the ¼ cup ZICO Chilled Juice Blend into a small bowl. Sprinkle the powdered gelatin over the juice and allow to soak for 5 minutes. Scoop about ½ cup of the lime curd into a microwave safe bowl. Microwave for 30 seconds. Microwave the juice/gelatin mixture for 10 seconds. Pour into the bowl of warm lime curd and mix together quickly with a rubber spatula. Pour the gelatin/curd mixture into the remaining bowl of lime curd and quickly stir together. Pour the mixture over the whipped cream in a large mixing bowl. Gently but quickly fold the curd into the whipped cream. 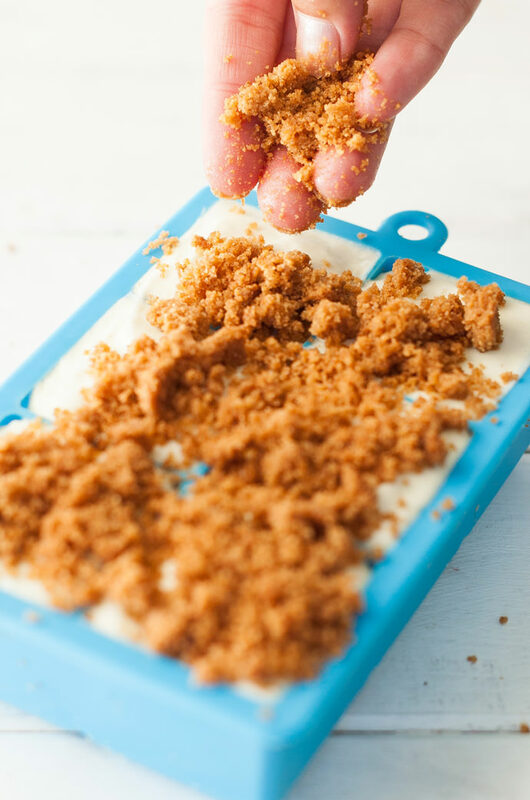 Spoon the mousse into the silicone molds over the baked graham cracker crust (make sure crust is cool!). 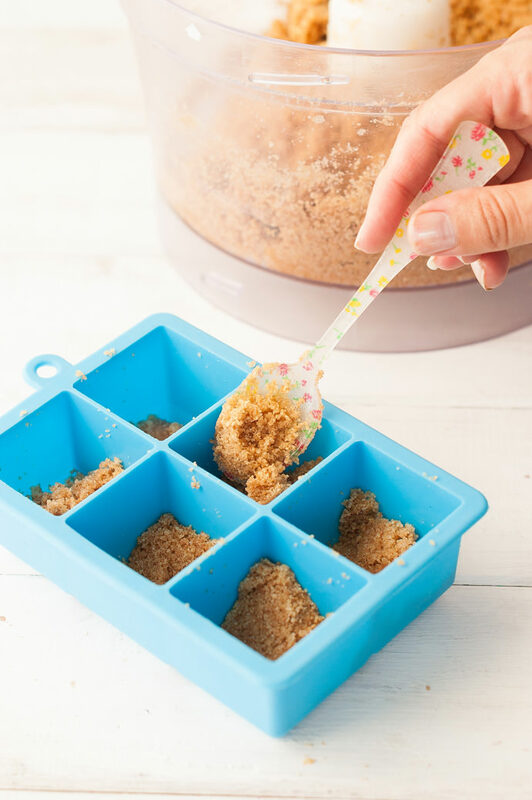 Sprinkle the crumbled graham cracker over the mousse in each mold. 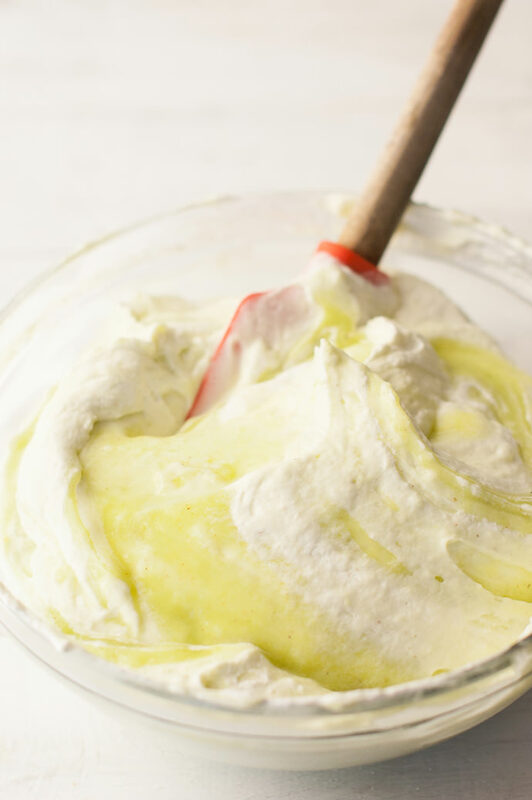 Refrigerate for 4-5 hours or until mousse is firm. To remove, pull at the sides of the silicone molds until they pull away from the mousse Press the bottoms of the molds up to pop out each Key Lime Pie Bite. Keep refrigerated. In a saucepan, whisk together the sugar and cornstarch. Add the eggs and egg yolks and whisk until smooth. 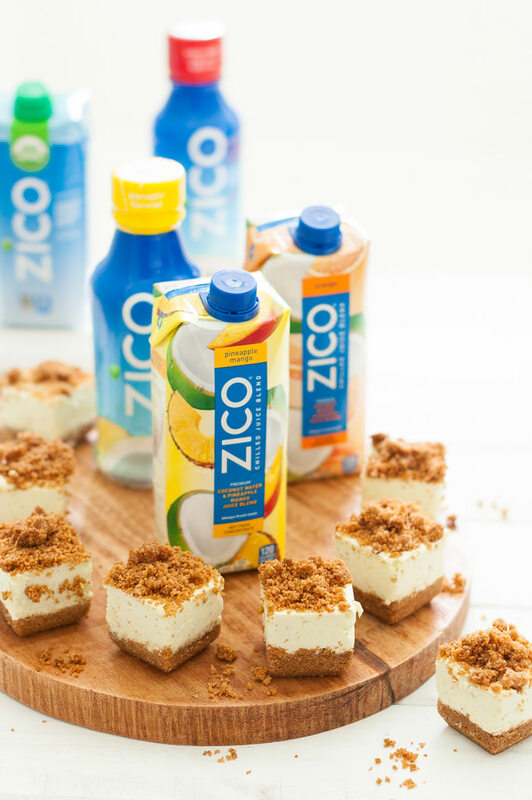 Pour in the key lime juice and the Zico Juice Blend and whisk until combined. Add the butter. Place saucepan over medium/high heat and whisk constantly until the butter melts and mixture starts to bubble and thicken. Remove from heat. Whisk in 1 drop of green food color, if desired. Pour the curd into a bowl and press plastic wrap directly on to the top of the curd (this stops a skin from forming). Refrigerate until cold. Place the graham crackers and sugar in a food processor and process until graham crackers are finely ground. Pour in the melted butter and process until well combined. This post is sponsored by ZICO Premium Coconut Water. I love me some coconut water, too – these look so yummy!! 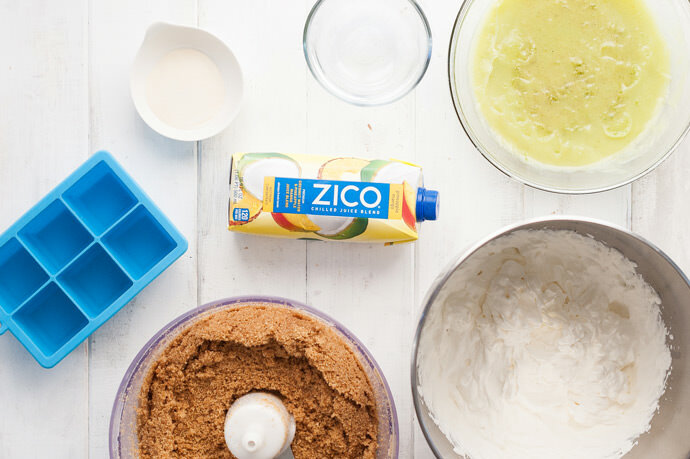 I never thought about using coconut water in a dessert recipe before! Looks delicious!